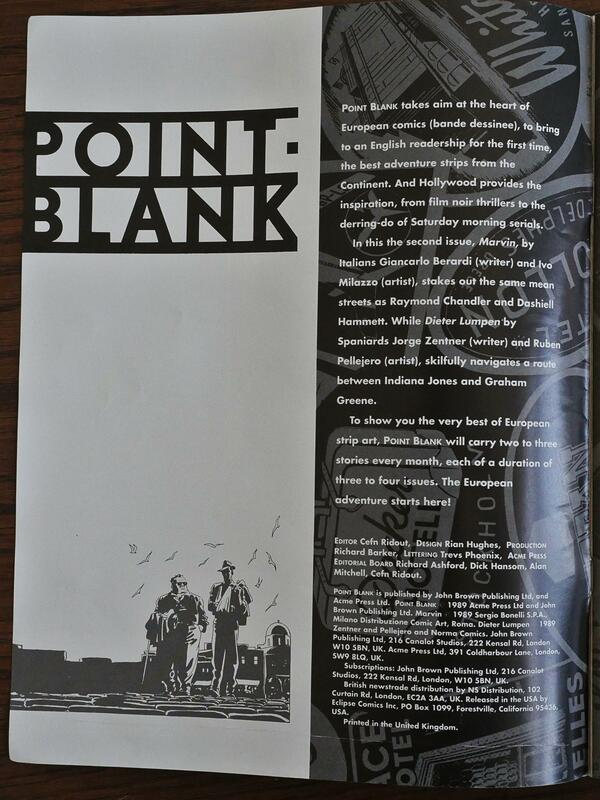 Point Blank (1989) #1-2 edited by Cefn Ridout. This anthology looks extremely similar to the Aces anthology Eclipse and Acme were co-publishing the year before. 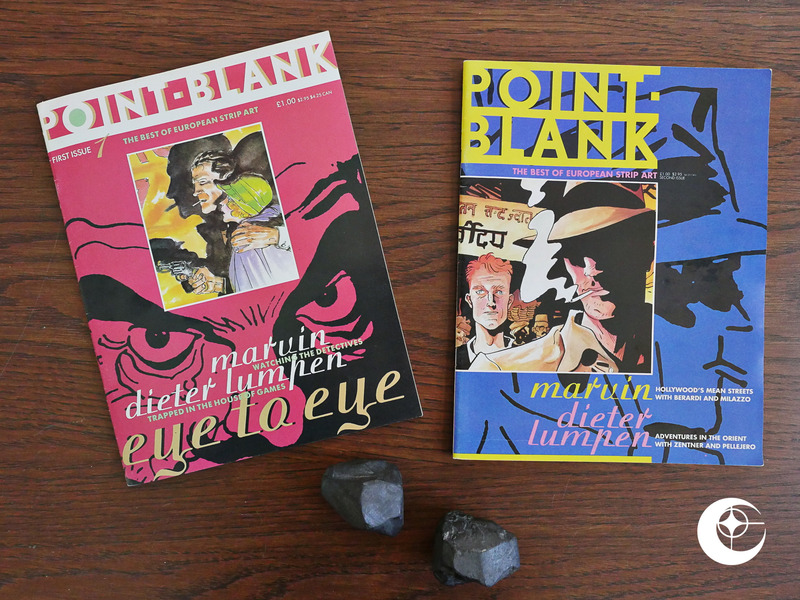 Point-Blank even carries one of the serials over from Aces: Dieter Lumpen by Jorge Zentner and Ruben Pellejero. 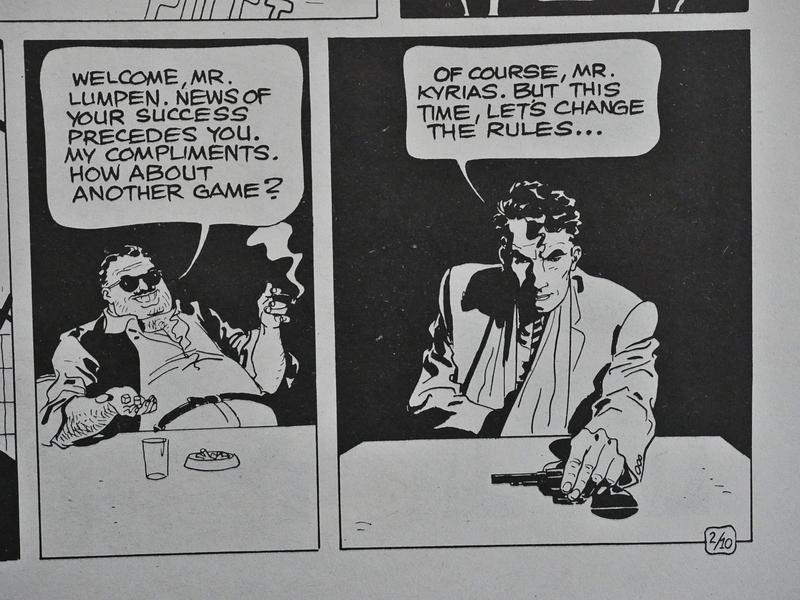 Dieter Lumpen is the action/adventure strip that everybody tried to make happen, but it’s never going to. You’d see it pop up in basically all European anthologies at one point or another, and then disappear again. 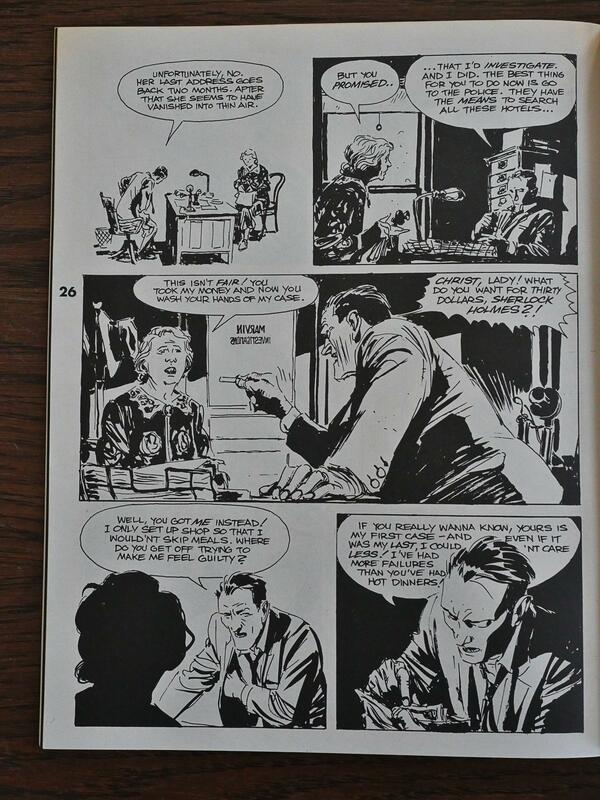 It’s easy to see why the editors give it a try, because Pellejero’s artwork is 100% Hugo Pratt. 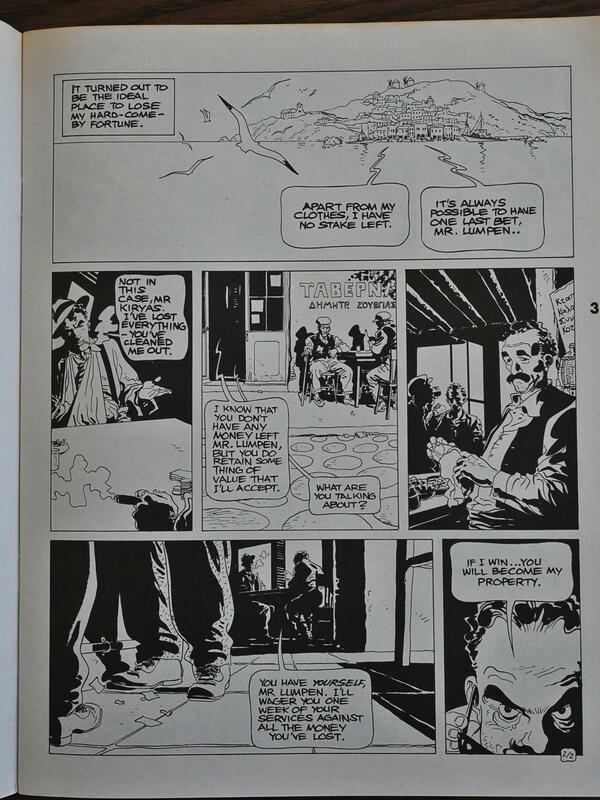 But while Corto Maltese has wit and charm (so much charm), the Dieter Lumpen stories are tedious and contrived. 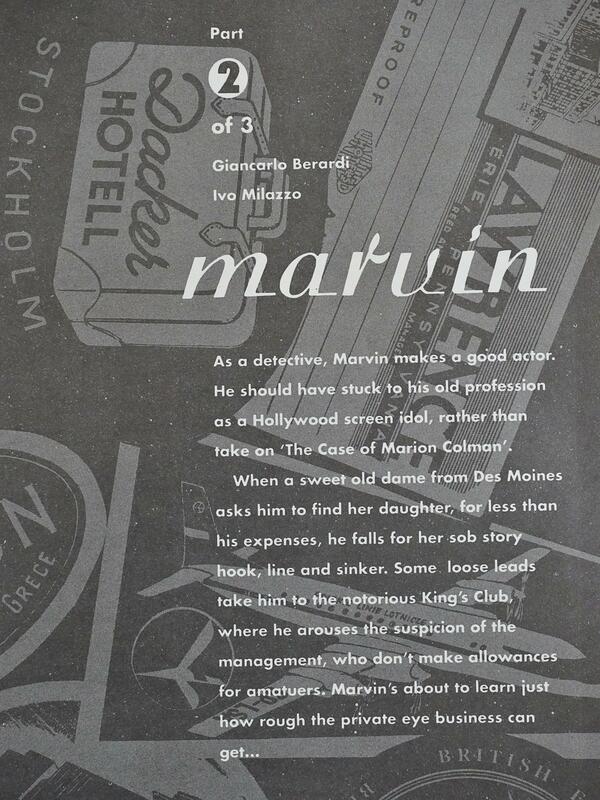 The other serial here is Marvin (!) by Giancarlo Berardi and Ivo Milazzo. 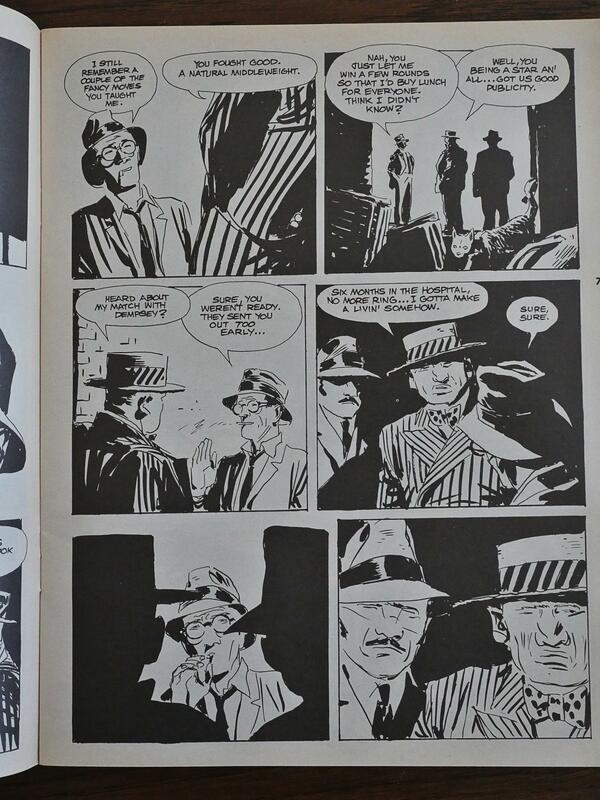 The artwork is much sketchier than Pellejero’s, and isn’t er totally devoid on influence either, but it’s a pretty entertaining noir mystery they’re setting up. Impressive storytelling, too. I love how Marvin slowly realises what his old friend is there to do (i.e., beat him up), and how they then don’t show that violence but cuts to a flashback to Marvin in the Great War. 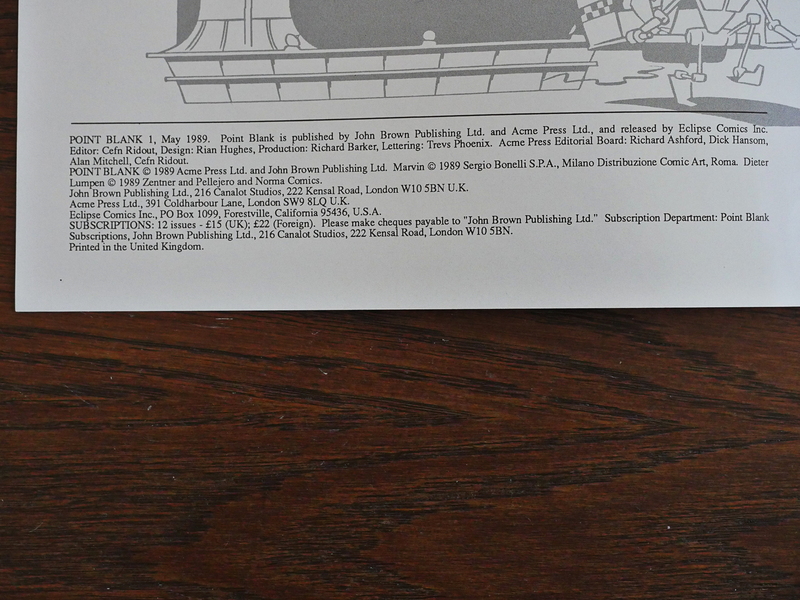 It’s a shame that they only managed to publish two issues of Point-Blank before cancelling it, because I was getting kinda interested in the Marvin serial (which was left unfinished). Hm… I see that in the second issue, Eclipse isn’t mentioned at all, so they’d already pulled out? And after googling for this magazine for a few minutes, I can find out nothing about John Brown’s relationship with it, or why it was cancelled. But it was probably just low sales? European action anthologies are a difficult thing to sell in the UK. 1992: Allan W. Eckert’s Tecumseh! Total Eclipse Blog at WordPress.com.